Internet Safety Tips for parents » TOGHER N.S. Funded by the Department of Education and Skills and the EU Safer Internet Programme, Webwise.ie is the Irish Internet Safety Awareness Centre and aims to educate and promote dialogue between children, teachers and parents on safe and appropriate use of the internet and new media. 98% of young people in Ireland use the Internet. 44% are online everyday. 28% access the Internet through personal devices like mobile phones and games machines. Young people are primarily going online to make friends, play games, download music, and do their homework. As parents, the most important thing you can do to reduce the online risks is to engage with their digital lifestyle. The thoughts of what your child might come across online can be worrying. 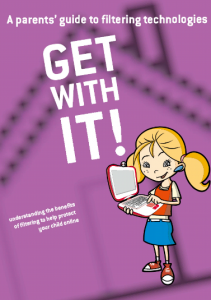 Webwise.ie offers internet safety advice to make sure going online is a positive experience for you and your child. The Get With It! 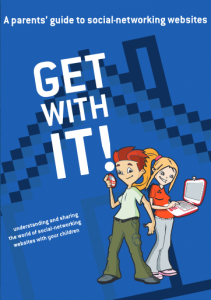 booklets are part of a series of resources which will help parents get to grips with their children’s internet use. Produced for the Internet Advisory Board by the Society, Information and Media Research Centre at Dublin City University, the series provide invaluable parental guidance. We are surrounded by new technology, whether it be smartphones, tablets or laptops. Get with it! 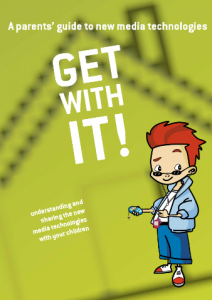 A parents guide to new media technologies aims to help parents get on top of new media technologies and how they work. Cyberbullying is a big worry for parents as their children become more and more internet savvy. In Get with it! A guide to cyberbullying all aspects of online bullying are outlined so that parents are on top of all the issues. Social Networking websites are among the most popular destinations when teens go online. Get with it! A parents’ guide to social networking websites explains how the Social Networking world works, what the risks are and what to look out for on a teen’s profile. Protecting your child online is something every parent wants. Get with it! 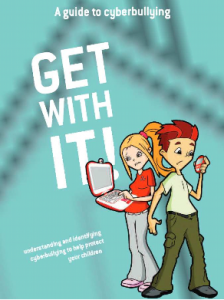 A parents’ guide to filtering technologies will help you understand the benefit of internet filtering, which will help protect children from internet content you don’t want them to see.